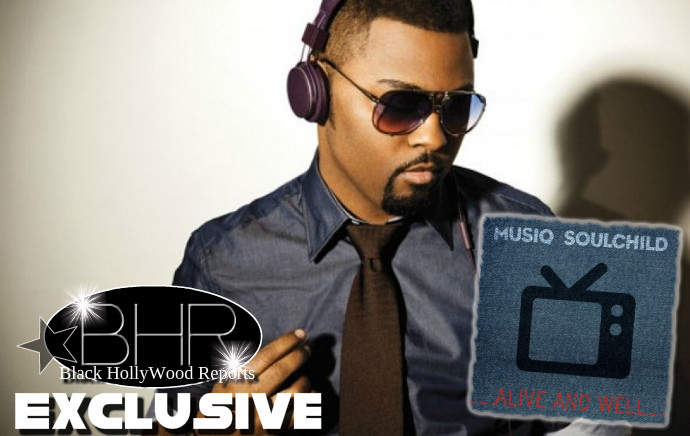 Musiq Soulchild Is Back With New Music "Alive and Well"
BHR Hollywood Reports.........Musiq Soulchild is back to bless fans with another taste of his comeback album Life On Earth, which will hit stores and streaming services on April 15. The latest release is a mid-tempo groove titled “Alive and Well,” which carries an encouraging message to appreciate the blessings we have been given, and to be positive in your life. Musiq is set to release his new album “Life on Earth” on April, 15th, 2016.
in a partnership with eOne Entertainment. “Alive and Well”l is available for an instant download when fans pre-order the album now. “Life on Earth” is led by the single “I Do” which is currently trending towards the top 10 at Urban A/C radio. Musiq recently released an animated video to accompany the song. “I’m not trying to sit and tell you not to better yourself / But if you’re alive and well, just be alive and well,” he sings. Take a listen to “Alive and Well” below, and if you pre-order Life On Earth on iTunes now you will receive 3 tracks as instant downloads.